Another poll suggests the majority of Americans support the legalization of cannabis. When it comes to attitudes towards the legalization of marijuana, a recent study shows that support still wildly varies depending on one’s political party—but all groups, including senior citizens and Republicans, report the highest levels of pro-legalization sentiment than on past similar polling efforts. 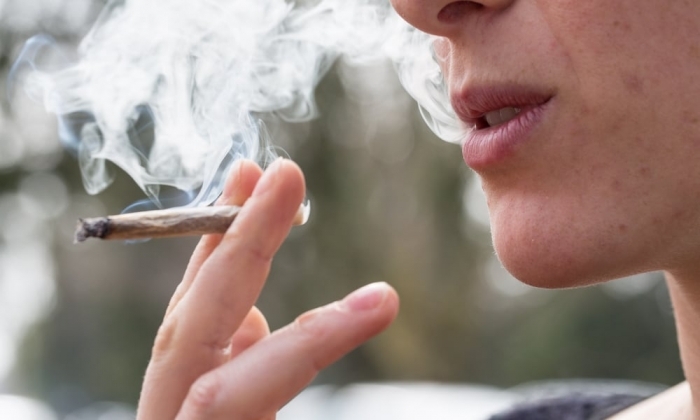 Results from a Pew Research Center study released on Monday suggests that 62 percent of US citizens now believe that marijuana should be legal. The study gathered this information via telephone response from 1,754 adults; and the outcome is the highest figure ever reported by similar polls. This could be influenced by the heightened consciousness caused by legal recreational cannabis in nine states, plus the District of Columbia. (The country’s population has been majority pro-pot since around 2010.) Though US support rate has doubled since 2000, gains in pro-pot feelings have slowed among the general population. A similar poll last year pegged the contingent in favor of legalization at 61 percent. As expressed in prior polls, the Pew survey found that support for making cannabis legal is much higher among Democrats than Republicans—69 versus 45 percent. The discrepancy is not surprising, given Buzzfeed’s revelation that the Trump administration has formed a Marijuana Policy Coordination Committee to flood federal agencies with anti-pot propaganda; and encourage departments to forgo factual public briefings in favor of focusing on “negative trends” associated with cannabis. Presidential subterfuge aside, the study’s increase in pro-weed feeling among Republicans may reflect a cue taken from certain members of their own party. Even full-throated histrionics of Republican activists like Ted Nugent—who’s recently been railing against an upcoming legalization ballot proposal in his home state of Michigan—haven’t been able to stem the green tide among certain conservatives. In Oklahoma, groups affiliated with the Republican Party have joined the struggle against restrictions banning the sale of smokable cannabis in dispensaries. Even in Texas, Republican delegates at a state GOP conventionapproved a platform that calls the removal of jail time in cases of adult possession for up to an ounce of marijuana. Interestingly, those independent of major political party affiliation proved more likely to support legalization. The Pew survey found that 59 percent of Republican-leaning independents have heeded the call of legal cannabis, and a full 75 percent of Democrat-leaning independents said they were ready to see the end of the war on weed. In other news, it would appear that even the Silent Generation is slowly coming around when it comes to getting marijuana off the contraband list. The Pew survey reports the highest pro-legalization numbers ever among US residents between the ages of 76 and 93, with 39 percent in favor. As ever, the study found that the younger the respondent, the more likely they were to express pro-legalization views. 74 percent of millennials were found to be in favor, along with 63 percent of Generation X, and 54 percent of the Baby Boomers.